The Divine Mercy Statue features a hand painted figure of Jesus. 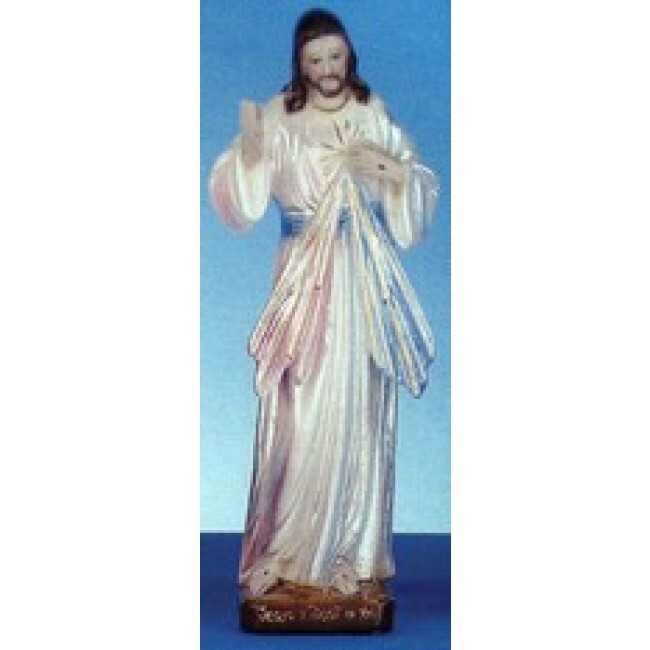 The beautiful Divine Mercy statue makes a fine addition to any home or church. The Divine Mercy figure was created when Our Lord appeared to Sister Faustina in 1931. He asked her to paint His picture with the inscription, "Jesus, I trust in You." The picture of Divine Mercy picture includes rays coming from His heart that signify blood and water. The message behind the image is that all can receive God's graces if we trust in His mercy. You're reviewing: Divine Mercy Statue 12"